This is a 3 bedroom 2.5 bath large three bay garage with in-law apartment. At Delta Properties we know that the idea of building a home can be a scary thought. We have put together a process that takes the stress and worry out of the process. Delta Properties has a team of professional contractors and top quality materials to assure your new home is everything you dreamed of. We work with all our clients to design a home that meet their needs and budgets. Do you already have your own land? We can build your dream on your land. We can schedule a free no obligation site evaluation today. If you are looking for Land we can assist you in this process. Our team will meet with you and assess your needs and locations you are looking for and we will search what is available to fit your needs and budget. Quiet dead end neighborhood close to Windham schools and minutes from Portland featuring open concept design. 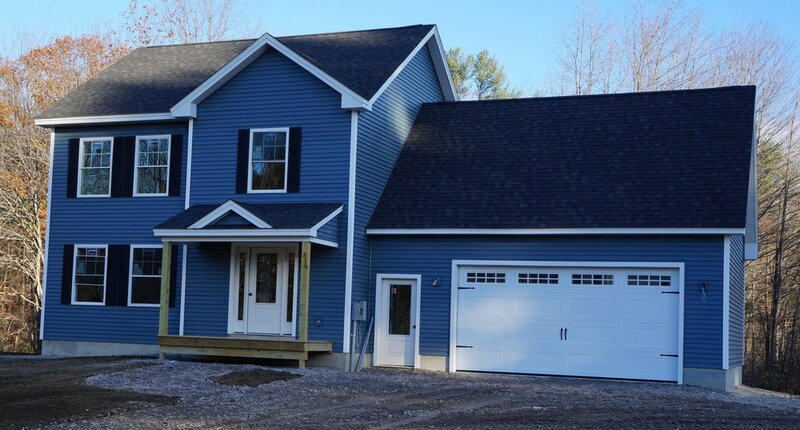 New construction beautifully finished 3 bedroom, 2 1/2 baths with granite countertops and hardwood flooring. Includes stainless steel and gas appliances, gas fireplace. Large finished bonus room. Convenient second floor laundry. Tile master shower, soft close cabinets and drawers, mudroom with custom bench, daylight basement, large rear deck with great privacy surrounded by 10 acres of open space and much more! This is our second available lot. This is a large lot located close to schools and short distance to Portland. We offer custom build packages that meet a wide range of budgets and needs for more information contact us today. If any of our available homes aren’t prefect for your needs and lifestyle Delta Properties wants to build your dream home. We have a home construction system in place that takes worry and the stress out of the home building process.